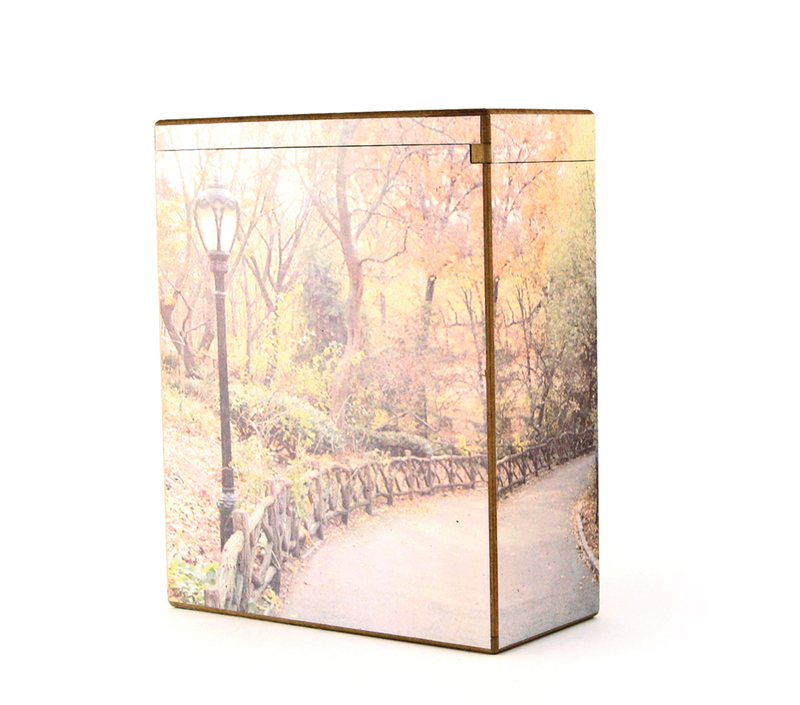 These urns are made of Medium Density Fiberboard (MDF) and have a sliding panel opening system on the top for scattering use. The cover can be fully removed if necessary when inserting cremated remains. 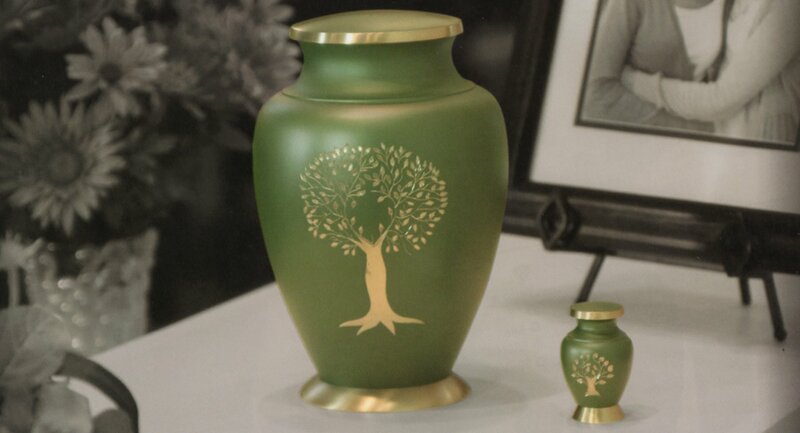 Terrybear\'s scattering urns are encased with beautiful scenery that depicts locations typically selected for scattering.